Obviously, the opposite is true: every time the alt-right gains a victory, it becomes stronger. If immigration was banned, the alt-right would grow stronger, and they would move on to other topics. 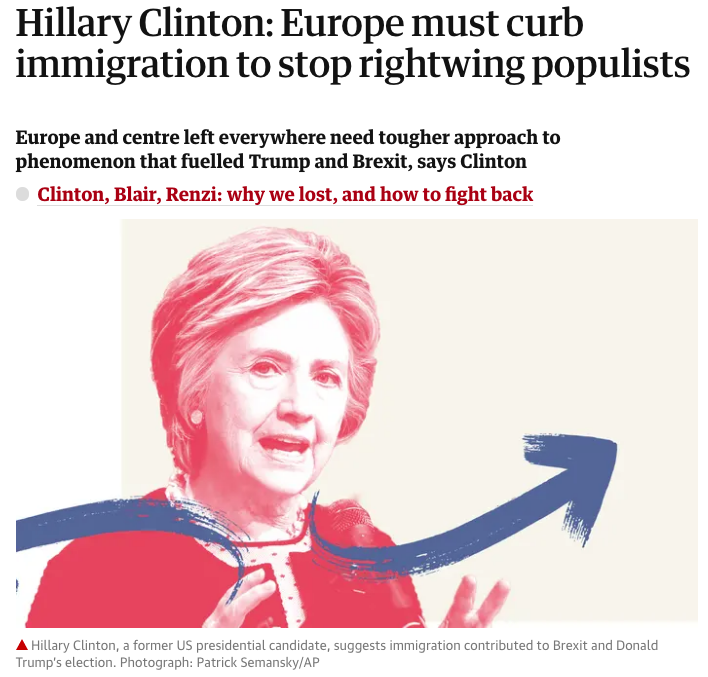 Indeed, one reason the alt-right has gained strength over the last 25 years is because people like Clinton kept advocating that we give them victories. How can Clinton not get this? It is remarkable that she still has a blind spot on this issue. And it is disappointing that she won’t fight for immigration on purely moral grounds. As others have said, it often seems like she has no moral center, rather, she shifts her positions towards whatever she thinks might be popular. Similar to the “Let’s dump Nancy Pelosi, since the Republicans don’t like her” talk we hear all the time.